Another week, another Minion Master's Monday! How was your weekend, Masters? We sure hope fine. Our weekend was amazing since we love to watch Minion Masters matches, especially when they are happening in a competitive environment. And we're happy that the King Puff Cup staff gave us exactly that! 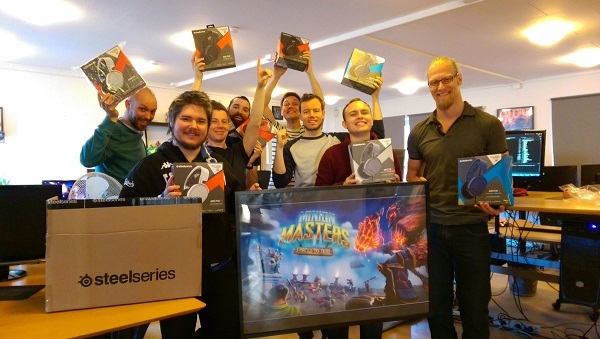 Last Saturday, the first live broadcasted Minion Masters tournament happened. 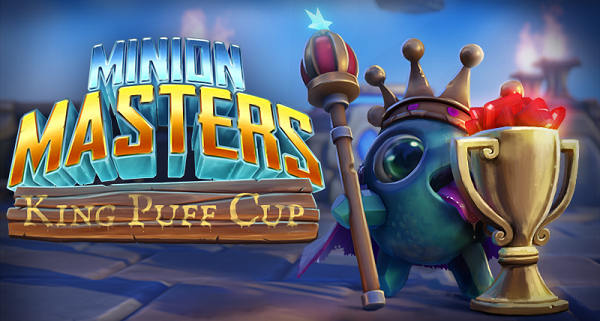 King Puff Cup 15 brought viewers around the globe a new experience. For the first time, the casters were commentating games live, instead of commentating replays. And we want to thank OneCanOfSprite & Tengs for their casting - you did a great job, guys! But there's more to run such a tournament. That's why we also thank all the moderators and, of course, 3FFA & Dipshit! It was the first live commentated tournament, but in the end, we saw the usual top performers doing their thing. However, Memfisto not making it to the final stage was definitely a surprise. He wasn't able to overcome Sain and lost his match during the group stage 1:2. The final stage brought us all the big names: boxes, OrpheusEndeZR, Dirion, RushSecond, Zgriptor, the Angry Snail (GrafSchnecke or ecke), Sain, and PakoMANIAC. Okay, okay... not only the big names! But players which beat the group stage and earned it to be one of the Top8 of King Puff Cup 15. Along the way to the grand finals, GrafSchnecke and PakoMANIAC were the first to be eliminated. The Angry Snail lost to Zgriptor and Sain, whereas PakoMANIAC found no way to overcome Dirion and OrpheusEndeZR. Sain and OrpheusEndeZR followed ecke and PakoMANIAC, which divided the Top8 by half. In losers round 3, RushSecond beat boxes 2:0 and made it to the losers finals, where he faced Zgriptor again. Zgriptor managed to beat RushSecond once, but this time, RushSecond turned the tides of the battle after being behind by 2 games. This 'Reverse-Sweep' decided that Zgriptor will get the 3rd place and goes home with $40. In the grand finals, Dirion waited for RushSecond. The first set of the finals was a clear 3:1 for RushSecond. In the second set, however, Dirion played his Red Golem Ratbo like no other can and managed to get a 2:0 lead relatively quickly. The third game was a real surprise. RushSecond decided that he cannot beat Dirion's deck, but he can try to play the same deck. He copied Dirion's list and the game started. All the last games, Dirion ran no real Cleaver, but one copy of the Illusory Cleaver. This time, however, he surprised RushSecond with a real Cleaver and managed to win the third and deciding game. In the end, Dirion took the 1st place, while RushSecond rushed to the 2nd place. Thanks to all participants and viewers from BetaDwarf! Your engagement and support by participating and watching means a lot to us. Congratulations to the winners! In case you couldn't make it to the live stream yesterday, enjoy the VOD right here! Expeditions rework is next. We're working hard on the rework and since we already announced the release date, we have to work even harder ;) Therefore, we will skip the weekly update schedule. Yes, you got that right: no patch on Wednesday this time. Our list of updates until the official release is still long enough to have a lot of talks and discussions, so stay tuned! And in the meantime, just enjoy the current Expeditions. But please be aware that any progress in the Expeditions as well as 'Local Supplies' will be gone once the in-game counter hits 0. There's not much more to say at this point and we hope you're just as excited as we are about the new Expeditions. Now, hop into the battles on the flying arenas, Masters! There's always another battle to fight, another Minion Army to overcome and another opponent to beat.